STEMM Rolemodels – get involved! Growing up, I loved science and math and never payed attention to the fact that most girls didn’t share my enthusiasm. I was pretty oblivious to cultural stereotypes surrounding women in STEM (Science, Technology, Engineering, and Math) fields. In fact, I didn’t notice I was the only woman in my Engineering Physics undergrad major until I was a junior. But as I continued into graduate school and now postdoc, I became more and more aware of gender biases. I am regularly one of the only women in a meeting, or one of the few woman speakers in my conference session. I also became more and more aware of the issues that go along with being in the minority. Whether it’s someone underestimating my abilities, or having to shout a little louder to be heard in a meeting, little biases in my interactions with peers and colleagues slowly started to wear me down. This is all to say: The longer I stay in science, the more outspoken I’ve become about diversity in science. It’s critical. And we (the scientific community) simply are not where we need to be yet. Some of my colleagues and I are launching a project called STEMM Role Models to start chipping away at this critical challenge. The app aims to increase the visibility of women and other minorities by creating a searchable database of scientists. The ultimate goal is to increase the diversity of scientists (and ideas) at conferences and beyond by making it easier for people to find scientists doing great work. After winning some support for our idea in the Rosalind Franklin App competition, we’ve launched an open-source project on GitHub to create the app. Read more below and get involved if you’re interested! The little one seems ripe for making key chains. 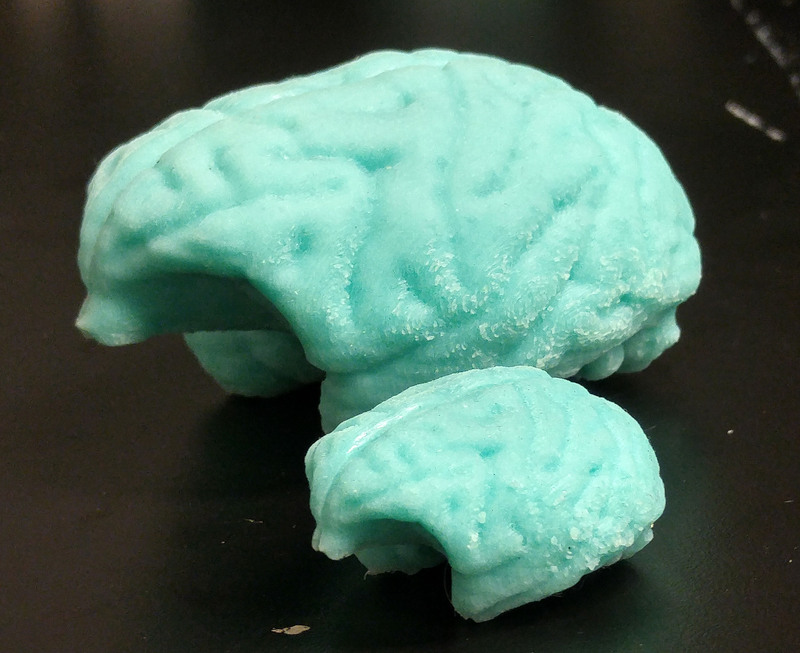 Now I just need my own MRI to make a very personalized version! 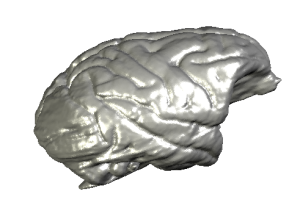 My most recent projects involve developing new platforms for recording neural activity. It’s a lot of mechanical design and fiddling with details. I’ve discovered that having physical objects to manipulate can often help in this process. Looking at virtual representations of things doesn’t always give you a true sense of the physical scale and mechanics. 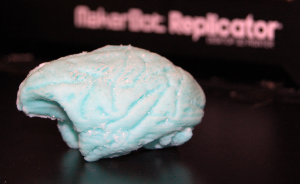 With that in mind, I set out to make a replica of a brain. 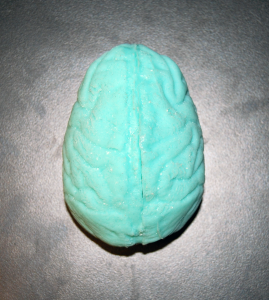 Since brains are squishy, I wanted to make it out of silicone. It also just sounded fun to have a little squishy brain-shaped stress ball. It’s still a work in progress. 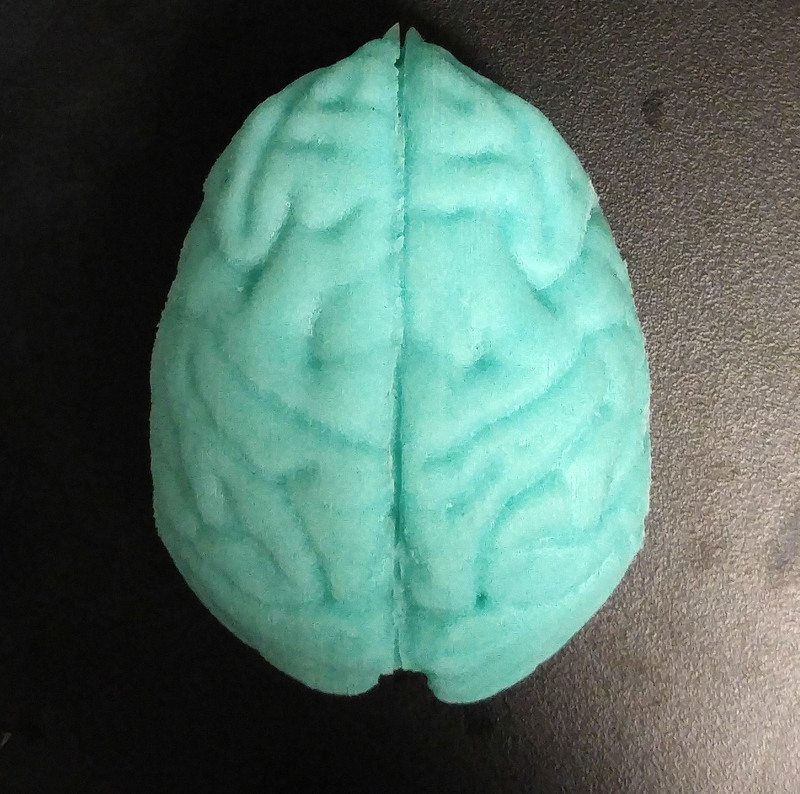 The seams are problematic, and the 3D printed brain needs to be better polished to get a smoother result. 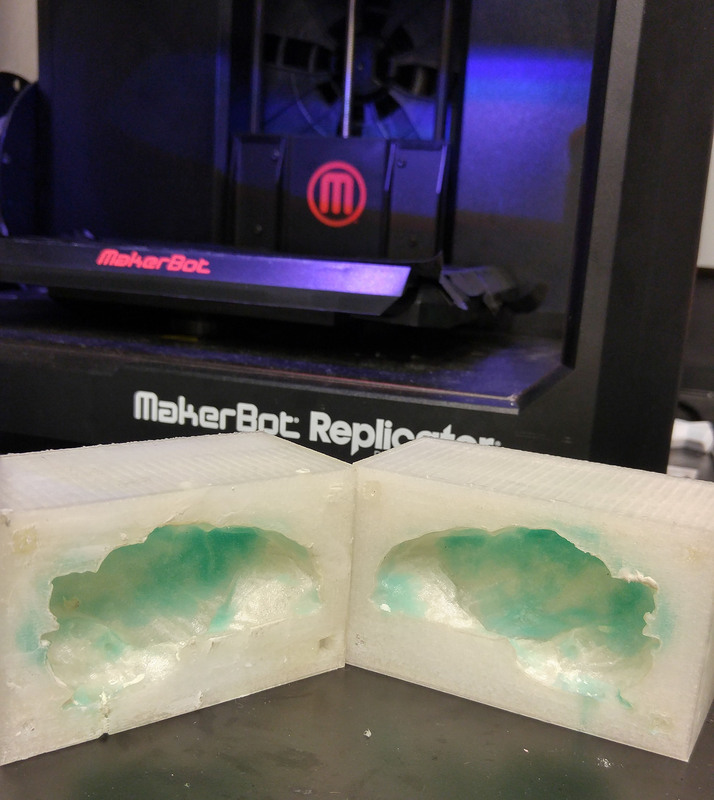 I tried making a silicone inverse mold, which would help eliminate seams. The molds came out great, but when I used them to make a silicone brain, the many ridges of the brain made it nearly impossible to remove the brain without ripping it. So instead, I’m going to try 3D printing inverse molds (rather than the brain). 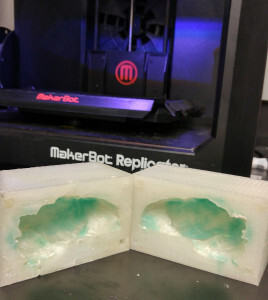 Stay tuned for version 2!